Oh snap! It’s my brand-spanking-new photography website! And it has a clever wordplay in the URL just like the title of this blog post… What a treat! Do you have an appalling LinkedIn profile pic of you draping yourself over a work colleague (tastefully cropped out) in a shiny paper party hat while clinging onto a glass dirtied with the remnants of a piña colada? Call me for a headshot. Are you a brilliant actor, singer or dancer who has been photographically jibbed up until now? Does your agent constantly say “For the love of all things holy, Susan! Get a decent gosh darn headshot instead of this headsh*t!”? Call me for a headshot session, Susan. Do you own, or have designed a house or building that deserves to be immortalised and publicised? A structure that demands documentation, so that it may finally bathe with its peers in the lofty glory that only the architectural works of Rem, Zaha and Frank have known until now? Call me for shoot. Does your pet blow your mind? Ever wondered why none of your friends can see why? Put an end to all those underwhelming ‘doesn’t-do-fluffy’s-good-looks-any-justice‘ images that you keep posting online: The ones with the ill-placed shadows and out-of-focus stares. Stop being a tightass and invest in what you love. You need to call me. Do you have a rock on your finger that’s weighing down your hand like your inability to decide on a sensational wedding photographer is weighing on your conscience? Call me, and let’s do this romance thing right. 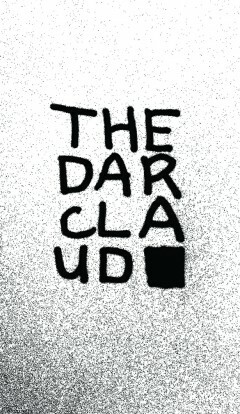 Call me Claudia, call me Claud, call me Thedarclaud, call me whatever you like… just make sure you call me. Actually, it’s just email listed on the site, so do that. It’s the 21st century for heaven’s sake. P.S. Can you believe the freaking Golden Gate Bridge shot with the bird?! That thing is straight-off-the-camera, no editing, right-place-right-time, mother-nature-meets-engineering-masterpiece, pure photographic glory. I may never take a better photo than it in my life. Fact.